A new 5 Seconds Of Summer song titled "Good Girls" has surfaced online, which can be streamed below. The track is taken from the band's long-awaited new self-titled album that drops July 22nd via Capitol Records in the US. You can check out the official artwork and track listing of the release here. 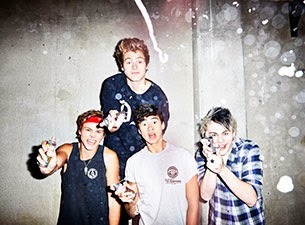 Dates and ticket information for 5SOS' upcoming tour with One Direction can be found here.